Yes, I know, it may seem like a measure a little drastic, but it is a reality that they are considering in the island of the half moon. Santorini, especially in the strong months of summer (July and August), overflowing with tourists and on the island there is not even a pin. 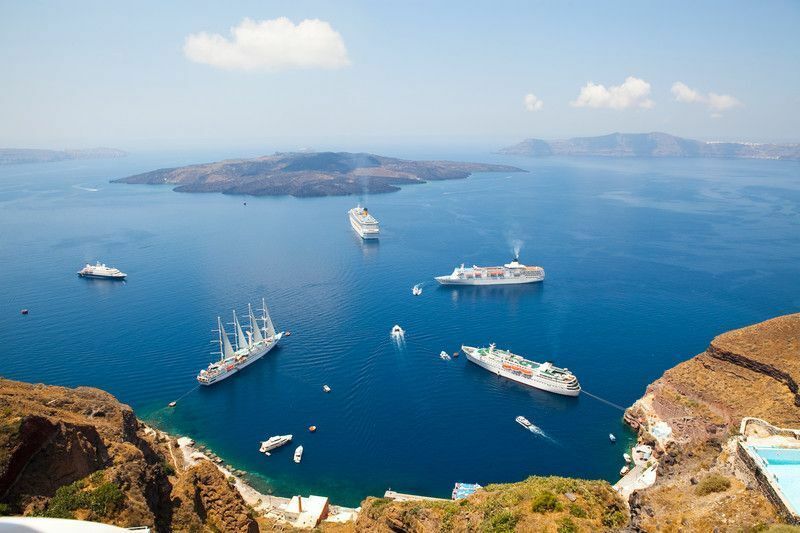 More than 600 cruises arrive on the island of Santorini a year, a figure that leaves almost 800.000 tourist in the towns and beaches of the island. This makes the island of Santorini that has one of the most visited sea ports in all the Greek islands. The data has been provided publicly by the Hellenic Ports Association. So seen the seen, the authorities of the island of Santorini are thinking of establishing a system in order to control the number of cruises that have the island of Santorini as a destination within their routes and that would authorize the disembarkation of a maximum of 8.000 daily passengers. The figure, which is not bad for such a small island, has been established based on a study that has been done since the University of the Aegean, information provided by the newspaper Kathimerini. The truth is that the theme only the months of July and August worry, since, the number of tourists that disembark in the island the rest of the year round an average of 4.000 daily. And we are talking about the 90% of the cruise ships that arrive on the island, that is, the problem is that the remaining 10% arrive in two months and very loaded with travelers, sometimes in one day you get to beat the 10.000 landed in the port. What do you think, you think the measure is excessive or should we control tourism to take care of the island's heritage? If we think about it with a cool head, the measure is not bad, as the authorities make sure that the island does not receive more tourists than it can manage and thus achieve a balanced distribution in the arrival of boats throughout the week, thus preventing there being days when overcrowding is the norm. Since this year may be the first in which this rule is installed, the authorities have already clarified that this summer the system will be applied in a more balanced and flexible way.